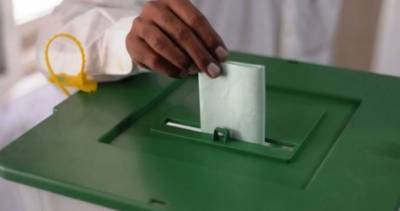 Lahore/Islamabad (Staff Report/Agencies): Polling for General Elections 2018 has been ended, while vote counting is underway across the country amid tight security. The polling started at 8am and ended at 6pm. Over 12,570 candidates are in the run for seats of National and four provincial assemblies. Against the National Assembly's seats, about 3,675 candidates are in the electoral race whereas about 8,895 for the provincial legislatures of all four provinces. From Sindh, 872 are contesting for the National Assembly seats and 2,382 for the provincial assembly. For Balochistan’s National Assembly seats, there are a total of 303 candidates and 1,007 for its provincial assembly seats. According to the electoral rolls, 105.96 million voters are eligible to cast the vote. In all, 85,307 polling stations have been set up across the country. A public holiday has been announced on the polling day, while the ministry of water and power has also been directed by the election commission not to carry out loadshedding on the polling day. According to an ECP official, 5,878 of the polling stations declared as highly sensitive were from Sindh province, 5,487 from Punjab and Islamabad, 3,874 from Khyber Pakhtunkhwa and FATA, and 1,768 from Balochistan. The official said a total of 85,307 polling stations have been set up in all the four provinces, FATA and the federal capital. 47,813 of the polling stations are in Punjab, 17,747 in Sindh, 12,634 in Khyber Pakhtunkhwa, 4,420 in Balochistan, 797 in the federal capital and 1,896 in FATA. The ECP has already issued its final polling scheme for national and provincial assemblies’ constituencies for conducting the general election in all the provinces and the federal capital. On Monday, the election campaign by political parties for general elections 2018 ended across the country at midnight. The campaign ended in accordance with section 182 of the Election Act of 2017. Under Section 182 of the Elections Act 2017 no person would convene hold or attend any public meeting and promote or join any procession within the area of the constituency during a period of 48 hours ending at midnight following the conclusion of poll. A monitoring and control room headed by Director General Administration has also been established in ECP to address the complaints.